Actuator being positioned on large ball valve. Valves are essential to modern industry. The prevalence of valves in engineering, process control, and manufacturing across the world is astounding, and each valve application requires it's own performance standard. Product safety, quality, and consistency is dependent on the proper selection of valves, whether ball, butterfly, gate or globe. Along with proper selection of the valve type, selecting the proper valve operator is critical for controlling the process, assuring quality, and protecting equipment and personnel. Actuators are powered mechanisms that position valves between open and closed states; the actuators are controllable either by manual operators, or as part of an automated system where the actuator responds to a remote control signal. The valve actuator is as important to the valve, as the valve is to the industry in which it functions. Thanks to actuators, multiple valves can be controlled in a process system in a coordinated fashion; imagine if, in a large industrial environment, engineers had to physically adjust every valve via a hand wheel or lever! It is completely impractical from a logistical and economic perspective. Actuators enable automation to be applied to valve operation throughout the facility. Valve actuators serve as the interface between the control intelligence and the physical movement of the valve. The most obvious advantage of valve automation is risk mitigation, where, as long as the system is functioning correctly, critical calamities in either environmental conditions or to a facility can be pre-empted and quickly prevented. Regardless of its power source, be it electricity, hydraulic fluid, air pressure, or other, all valve actuators share a singular purpose; to produce linear or rotary motion under the command of a control source. Depending on the design and settings of the actuator, valves can be closed, fully open, or somewhere in-between. Modern actuation technology allows for remote indication and control of valve position, as well as other diagnostic and operational information. Pneumatic actuators utilize air pressure as the motive force which changes the position of a valve. Hydraulic actuators depend on non-compressible liquids under pressure to provide the motive force. 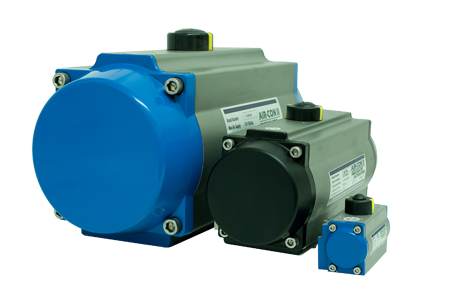 Electric actuators, either motor driven or solenoid operated, rely on electric power to change valve position. As automation continues to advance throughout every industry, manual valve operation makes less and less sense. Component integration, lower cost and universally accepted valve communications systems are becoming the norm. Simple, seldomly operated, basic valves are now outfitted with inexpensive automation packages that allow them to be monitored as part of the entire process control system. 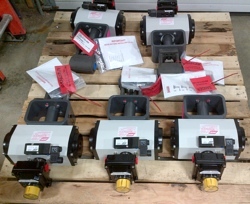 Automated valves ready for shipment. 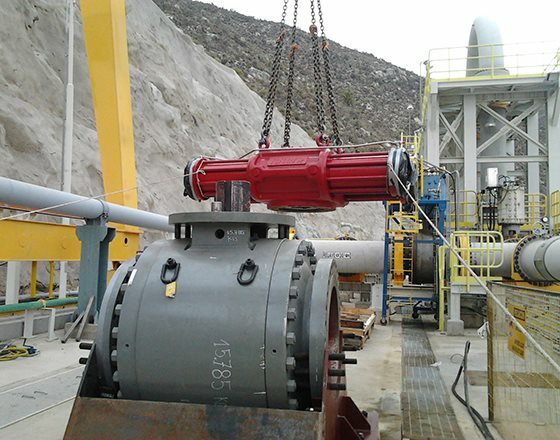 Thanks to their versatility, reliability, and technological advances, valve actuators provide safe and repeatable operation in critical processes all over the world. Just as industries are the backbones of societies, valves are key building blocks to industrial processes, with actuators ensuring both safe and precise operation. For information on valve automation, contact Piping Specialties by calling 800-223-1468 or by visting https://psi-team.com.